Are you aware that 6 of the 10 fastest growing international economies are on the continent of Africa? I am an Afro-Latino, born and raised in New York City. My mom was born in Brooklyn, her mom was born in Brooklyn, and if we trace our family roots deep enough, you hit South Carolina, maybe New Orleans, the island of Hispaniola, and eventually, Africa. But what would I know about Africa? 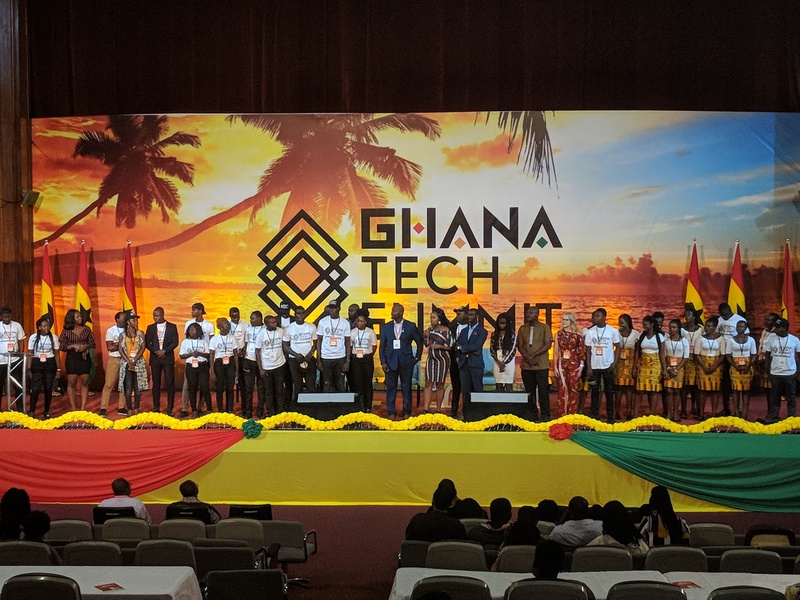 A few weeks ago, my wife and I attended the inaugural Ghana Tech Summit (GTS), Global Startup Ecosystem's 12-year commitment, that hosted 1000 guests and featured 100 speakers from all over the world with conversations ranging from blockchain & cryptrocurrency, to augmented reality. Global Startup Ecosystem also hosted Haiti Tech Summit and launched Blockchain Tech Summit in New York. GTS was by far one of the most regal tech events I have been to. There are not too many gatherings where you have not only the innovators of the country, but also, the very people that led the country to independence. Meanwhile, by chance, the conference is happening during the Mandela’s 100th birthday celebration. With military guards all over the place, we were informed the current and former president of Ghana were in the building. It has taken me 31 years to visit the African continent, and I am not sure why. I have made probably every excuse I can think of. The plane tickets are too expensive, the flight is too long, or -- I don’t have any family or friends there. Is it safe there? Is there civilization outside the safari and the harrowing ports of no return? Well, family is everywhere, and yes, you can walk around the streets of Accra at 1am with total peace of mind, although locals are skilled at spotting Americans. Ghana’s economy is one of the top 5 fastest growing economies globally. In fact, 6 of the 10 fastest growing economies are in Africa. As I combed the World Bank archives to fact check, I noticed African countries are leaders in a number of areas including smartphone penetration and top female share of the workforce. Consumerism and mobile adoption is at an all time high, but they still struggle with a 50% literacy rate. How come we do not hear about this? The Chinese seem to have figured it out as their investments have catalyzed economic activity, although many economists worry the effect could be national economies completely dependent on China. Why do I need to read foreign news sources to get this information? Real talk, I can’t even recall the last time mainstream American news covered Africa properly. Maybe Black Hawk Down? Reflecting on my education throughout grade school, there was absolutely ZERO (0 ) coverage of Dr. Kwame Nkrumah and the numerous movements for freedom through the Pan-African decade of independence. Only through recreational reading (see bibliographies below). I learned about Pan-African movement, like Patrice Lumumba’s ascension to become youngest Prime Minister of the Democratic Republic of the Congo at a 34 years old. Moreover, I do not recall my textbooks mentioning the U.S. and Belgium’s involvement in his assassination in attempts to protect American and European business interest. A good friend, whether by happenstance or destiny, shared a bibliography on black internationalism prior to the trip, and it just so happened that the random books I picked off the list coincided with my travel route. I highly recommend reading both bibliographies, as they cover the extensive, but highly relevant gaps between Pan-African independence, and our continued bloody battle for civil rights here in the U.S. After they decided to stop killing our leaders, Martin, Harriette Moore, Fred Hampton, and countless other, it seems the links have been all but completely severed. I love visiting my grandma in the Dominican Republic, and Cabo is cool if not overpriced -- but I look forward to returning to the motherland very soon. Me, and everyone I know that has visited the various Doors of No Return, standing in the place of tragedy and horrors, we hear our ancestors -- telling us to come home. The feeling of discomfort is one of extreme shame of privilege, that they ultimately paid a major sacrifice for me, and quite actually, the entire world. If you are a person of color who like me, mentally draws a blank when their family tree’s stop at the south and the Caribbean, know that our roots travel through the ocean where our ancestors jumped in protest, all the way back to Africa. Go back, and see that’s it’s not all safaris and bush men and women like we have been taught and socialized! If you need recommendations on where to get wax print, shea butter, East & West African art, or where to get the best Fufu and spicy goat soup, holla at me! (brian.a.araujo@gmail.com). When I am not traveling, I run operations for a digital marketing company in New York City. I am also a voice actor, and co-founder of Bitcoin Harlem, a community organization aimed at connecting cryptocurrency enthusiasts and investors..